Canada Post has reorganised their Venture One program and change the name to Solutions for Small Business. As part of this new program, a new discount structure has been added for Unaddressed Admail. Canada Post will now track your volumes on a quarterly basis, and automatically apply increasing discounts when you pass certain thresholds. You don’t need to do anything but send out Unaddressed Admail to benefit. You even start with a 5% discount just for being a customer! Even better, once you’ve reached a higher discount level it will be locked in for 12 months. These discounts make being a Small Business customer much more attractive, and represent a great savings without needing to commit to the large yearly volumes of a contract rate. All you need to access these savings is a Canada Post account number. If you don’t already have one, call us today at 250-384-7678 and, as an Expert Partner with Canada Post, we can get you one in 5 minutes. On January 12, 2015 Canada Post implemented their annual price changes. This year, similar to last year, prices have stayed the same, gone up, and gone down! The pricing structure has been simplified this year so we should be able to give more accurate quotes on postage. If you are buying a single stamp for a letter weighing under 30 grams the price is $1.00. If you buy a packet of stamps the price is 85¢ each. Both of these prices are exactly the same as 2014. Paying by postal indicia or by postage meter is now 77¢ – still a significant savings! Addressed Admail (promotional) mailing pieces have increased but still represent savings of 41.6% up to 73.2% when compared to Lettermail. Unaddressed Admail has increased 2.6% but we can help you access additional savings. Publication Mail, Business Reply Mail, and International Incentive Letterpost rates have all increased. As always give us a call before you design your mailing campaign so that we can assist you in making sure it is the most cost effective and complies with the various Canada Post rules. As we wind down towards the holidays all of us here at Aristos would like to wish you health and happiness throughout the festive season and a joyous New Year. We are on reduced hours but will be available December 24 until noon, all day on December 30, and December 31 until noon. Regular office hours will resume on January 5. Big changes are coming in the New Year for Canada Post as they continue to streamline services to make Direct Mail faster and easier. When the rules and rates change on January 12, your direct mail rate could be less than it was in 2014! Give us a call and we can make sure you get the most value for your advertising dollar with a mailing that gets seen, gets opened, and helps drive customers and donors to your business. Posted in Aristos Mail Tech	| Tagged Direct Mail, Ho Ho Ho, Seasons Greetings	| Comments Off on Happy Holidays from Aristos! Canada Post is getting faster! It’s true! 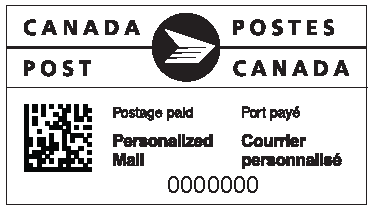 On August 18, Canada Post is updating their delivery standards for Publications Mail and Addressed Admail. They are also updating the transportation time for Unaddressed Admail. With the new standards, your mail should travel across Canada to major centres up to 6 business days faster than before, while maintaining the same quick local delivery. You’ll be able to plan your advertising campaigns and newsletters better by having a clearer idea of when your piece will hit mailboxes. Also, don’t forget that we are nearing the end of summer! If you are planning your back to school mailing, give us a call with any questions or just to book yourself in before the rush! Posted in Canada Post	| Tagged addressed admail, delivery standards, publications mail, rules and regulations, unaddressed admail	| Comments Off on Canada Post is getting faster! New changes are in place for Machineable Mail for Standard Size pieces as of July 9, 2014. Canada Post have their new equipment installed at all processing plants across the country, with Vancouver having opened this spring. The effect has been to relax the requirement for envelope and mail piece design. As usual we are keeping up with all of the changes. Call us at 250-384-POST (7678) to help you with your mail piece design.